We are fellow BMW enthusiasts and we offer a wide range of upgrades and performance modifications to enhance your BMW driving experience. We are an authorized Dinan Dealer and installation facility for all Dinan parts. In 2013, we were the #1 ranked independent dealer in the USA for Dinan sales volume. Let our experience work for you; You can be assured your build will be completed successfully, correctly and without any unforeseen surprises. 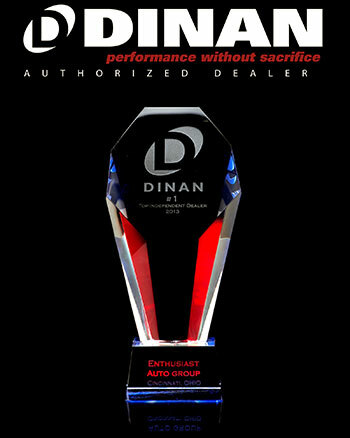 For more information on Dinan Products; visit their website: http://www.dinancars.com and/or contact us with any questions! Dinan is the premier BMW tuner in the United States with over 30 years of experience and product development. Dinan develops and manufactures a comprehensive line of high performance products including engine, tuning, driveline and chassis components. These products are run through vigorous product engineering, development, and testing to ensure the parts not only fit perfectly, but will not cause any negative consequences to your vehicle. 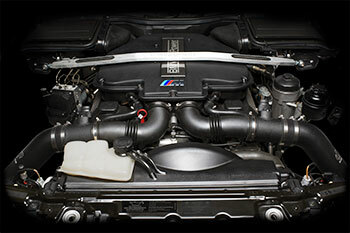 All Dinan performance carry a factory matching warranty so that you can be assured their will not be any issue or warranty denial claims from Dinan modifications by your local BMW dealer. At times, due to specific customer needs, we also source and install other brands of performance products. Don't hesitate to contact us with your specific goals. We accept walk-ins for estimates!